I made this layout awhile back and thought I would share it with you all! These are photos of my husband's cousin and his family. Aren't they adorable?? All scrapbook elements are by Summer Driggs of Summertime Designs Ring It In Kit. I will be posting some more fun layouts on Tuesday using Lollipop Press kits! Check back soon! Love the paper pack!!! So cute!! Merredith is the winner! Since you did not leave your email, please contact me erinleighdesigns1@gmail.com by Tuesday, Jan. 25 at midnight to claim your prize. A new winner will be chosen, if you do not contact me by this date. Congratulations! Thanks for all that entered. I will have more giveaways later this year! Check back soon! Today is the LAST day of the blog hop :( Thank you for following along all week! We hope you enjoyed this fun week and found all of the freebies. It's not too late to enter to win the Grand Prize, which some physical papers and embellishments, the Woodland Winter Kit and the Chic & Shabby Kit. Check it out below!! Second - Become a fan of Lollipop Press on Facebook. Third - Become a follower of the Lollipop Press blog. Fourth - You can also get an additional entry by making a purchase on the site. You have until Sunday, Jan. 23, 2011 at Midnight to leave all your comments and be entered to win the Grand Prize. We'll draw the winners of the prizes and announce them on Monday, Jan. 24, 2011 sometime in the evening. I will also be announcing the winner of my Floral Paper Pack at 5 p.m. CST. If you haven't entered, I will extend the deadline to 4 p.m. CST. First - Become a Fan on my Facebook Page. Stay tuned for the winner! I also want to show you another fun layout I made! This is a layout of when my dogs went swimming for the first time! So cute right? The template is by Joey Lynn Designs. Check out her shop here and her blog here. If you want to get this awesome kit! Go to the Lollipop Press Store! TODAY IS THE LAST DAY TO ENTER TO WIN MY PAPER PACK! The entry deadline is Midnight on Saturday, Jan. 22, 2011. The winner will be announced at 5 p.m. on Sunday, Jan. 23, 2011! Good luck! Welcome to Day 6 of the First Annual Lollipop Press Blog Hop! You should have arrived to my blog from Natacha's Blog, if that is not where you arrived from, then please join us at the Lollipop Press Blog to start the hop from the beginning so you don't miss a thing! Today, I would also like to show you a layout I created. All products used are from the Chic & Shabby Line from Lollipop Press. This is me and my super adorable husband and dogs. This is our Christmas Card picture and I love it. If you like this layout and want a quick template or a quickpage. Visit the Lollipop Press Store to get it for only $2. Welcome to Day 5 of the First Annual Lollipop Press Blog Hop! You should have arrived to my blog from Natacha's Blog, if that is not where you arrived from, then please join us at the Lollipop Press Blog to start the hop from the beginning so you don't miss a thing! Today, I would also like to show you a layout I created. All products used are from the Chic & Shabby Line from Lollipop Press. I just love this line!! There are sooo many different things you can do with it. If you like this layout and want a quick template or a quickpage. Visit the Lollipop Press Store to get it for only $2. 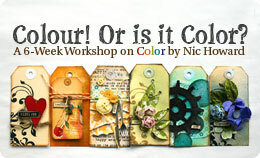 Today, I DO have a piece of the LP Blog Hop kit that your looking for. Click on the picture below or HERE to download the FREE paper! Welcome to Day 4 of the First Annual Lollipop Press Blog Hop! You should have arrived to my blog from Natacha's Blog, if that is not where you arrived from, then please join us at the Lollipop Press Blog to start the hop from the beginning so you don't miss a thing! During this fun Blog Hop our Designers will showcase projects that they have made using the Chic & Shabby and Woodland Winter lines from Lollipop Press. To add to the fun, we are giving away fabulous prizes along the way at many of our Designer's blogs. I am also giving away a Digital Floral Paper Pack designed by me, Erin Leigh Designs. Today, I would also like to show you a Thank You Card I created. All products used are from the Woodland Winter Line from Lollipop Press, however, the card template is from Jessica Sprague's Card Class. Isn't this such a versatile line? Today, I do not have a piece of the LP Blog Hop kit that your looking for. So continue checking EACH designer's blog EACH day to collect all the pieces. If you get lost along the way, go to the Lollipop Press blog for the master list! Remember, you must be a follower of the Lollipop Press Blog, become a fan of Lollipop Press on Facebook, visit all the blogs, and comment on all the blogs (My comment section is at the top of the post) in order to be entered to win our fantastic Grand Prize! I did not remember to take a picture this day until I was already in bed. So I used my camera phone and took a snapshot of my beagle, Miley, trying to go to sleep under the covers. Isn't she such a cutie! Today, I noticed some pretty icicles hanging on our house. I loved the way the sun was hitting these icicles. I took the photo from inside my warm and cozy house too! Today, I decided to take a photo of Verizon Wireless Blackberry because I'm looking forward to getting rid of it :) Verizon announced last week that they will be getting the I phone in February 2011. Woohoo! I'm so pumped. Can't wait to get it! I love me some Diet Dr. Pepper! Welcome to Day 3 of the First Annual Lollipop Press Blog Hop! You should have arrived to my blog from Natacha's Blog, if that is not where you arrived from, then please join us at the Lollipop Press Blog to start the hop from the beginning so you don't miss a thing! Today, I would also like to show you a layout I created. All products used are from the Woodland Winter Line from Lollipop Press. I just love this line!! There are sooo many different things you can do with this kit. I also used a template by Joey Lynn Designs. She has some amazing templates. Visit Joey's blog to find out more about her Template Tuesday freebies. Also be sure to visit the Lollipop Press Store to buy layout templates/quickpages by me, Erin Leigh Designs, using Lollipop Press kits.